After much deliberation and a chance encounter in our hobby room with a the recent killteam box containing a full plastic tactical squad, I settled on building my centurions out of these parts. I also came up with just enough resin industrial/rubble bases to base my fledgeling Tyrants Legion on them. To make the process of building a new army manageable, I decided to go build and paint them in 500 put blocks. 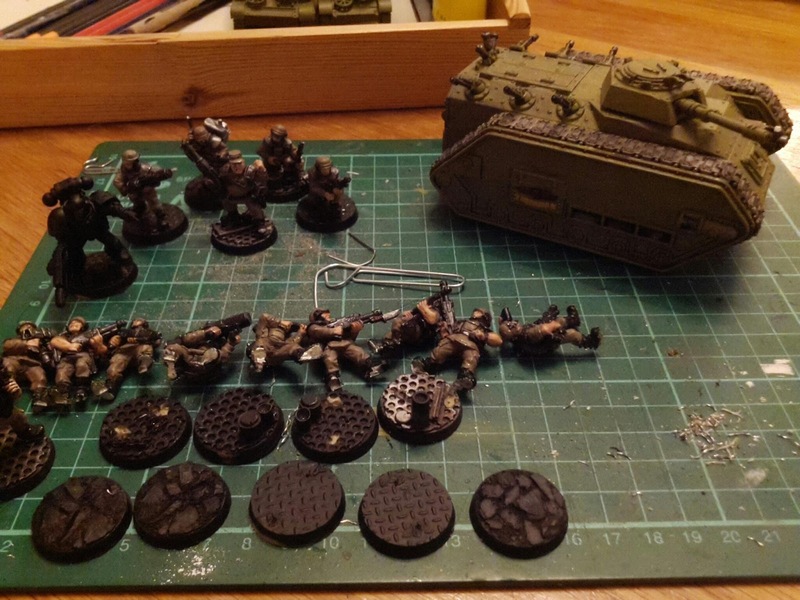 Presented below is the first block; an imperial guard HQ command with meltagun and lascannon(not pictured), a ten men infantry squad with flamer and missile launcher (the tyrant guard combined marine and guard elements, I wanted the guardsmen to emulate Marines by carrying their signature weapons) a Chimera armoured transport and a single marine centurion. 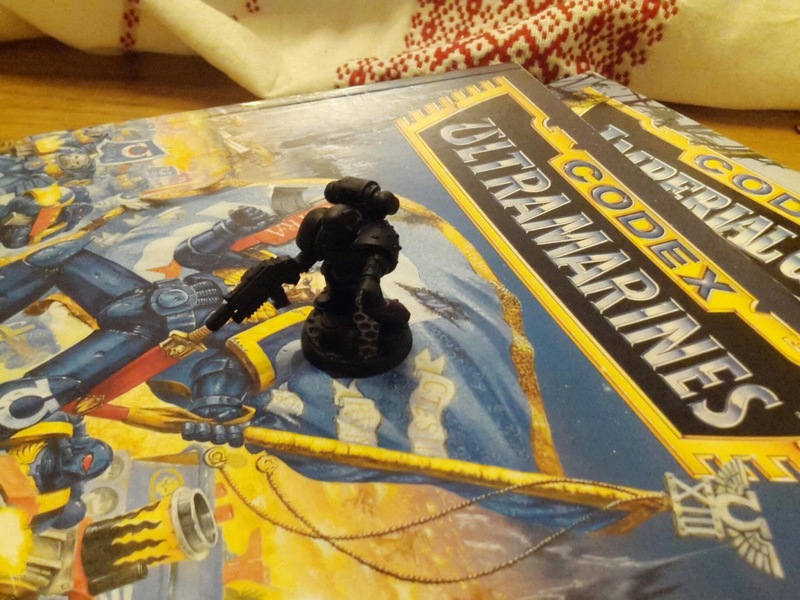 Since the marine codex doesn't allow veteran sergeants as independent characters , the only option is to make him a techmarine. The guardsmen where painted a decade ago and have him surviving in a plastic bag ever since, so are in need of some touching up and adding some tyrant legion colours. By the way, I found out the marines detached to the Planetary Defense Force were called Cohorts :-). Ah, but I'm sure the marine commanders were called (arch)centurions. cohorts are probably the full squads attached.